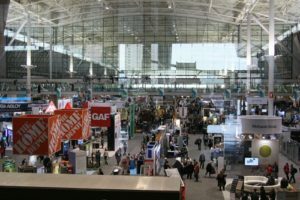 Greenbuild 2018: See You in Chicago! IMT is gearing up for an energizing week of collaboration, networking, and learning in the Windy City for Greenbuild 2018. Looking to set up a side meeting during the conference? Visit our staff bios and send us an email—several IMT staff members will be attending the conference. Not sure which sessions to attend? We have you covered. Visit IMT’s Alex Harry in the Applied Learning Area on Wednesday, Nov. 14, for an exciting discussion on: Harmonizing Landlord and Tenant Experiences to Maximize Savings and Recognition. Catch IMT’s Amy Jewel on Thursday, Nov. 15, as she presents on the passage, implementation, and future goals of the Chicago Benchmarking Ordinance and more during: The Chicago Climate Change Movement – Collaborating for Change. Don’t miss Camille Pollan (City Energy Project advisor, New Orleans), who will be presenting on Friday, November 16 on Creating Partnerships Among Cities, Utilities, and Higher Ed. *For more information on this year’s Greenbuild International Conference & Expo, click here.